A Social Security Number (SSN) is a type of Tax Identification Number (TIN) that U.S. citizens use for tax and identification purposes. If you’re not a U.S. citizen, you can get an SSN only if the Department of Homeland Security (DHS) authorizes you to work in the United States. If you’re not authorized by the DHS, you can get another type of TIN, called an Independent Taxpayer Identification Number (ITIN). If you are not not eligible for a Social Security Number but still need to file a tax return, you must apply for an Independent Taxpayer Identification Number, or ITIN. You can obtain an ITIN by completing IRS Form W-7 and delivering it to an IRS Taxpayer Assistance Center. What is an Independent Taxpayer ID Number (ITIN)? An ITIN is a 9-digit processing number issued for tax purposes. Each ITIN begins with the number “9,” and its formatting is similar to an SSN (9NN-NN-NNNN). But unlike SSNs, which are issued by the Social Security Administration, ITINs are issued by the IRS. The IRS issues ITINs regardless of a recipient’s immigration status. Why Does a Third Party Designee Stop Me From E-Filing a Federal Tax Return? Why Do my Non-Working Spouse and Other Dependents Need an ITIN? If you must file a federal tax return, you are required to list all people, and their SSNs, for whom you claim exemptions. If your spouse or other dependents do not have an SSN (and are not eligible to get one), you must list an ITIN instead of an SSN for each. If you had a child who was born in the same tax year that the child died, you don’t need to get an ITIN for the child. Simply attach a copy of the child’s birth certificate to your tax return and write “died” on the corresponding exemption line. How Can I Use an ITIN? 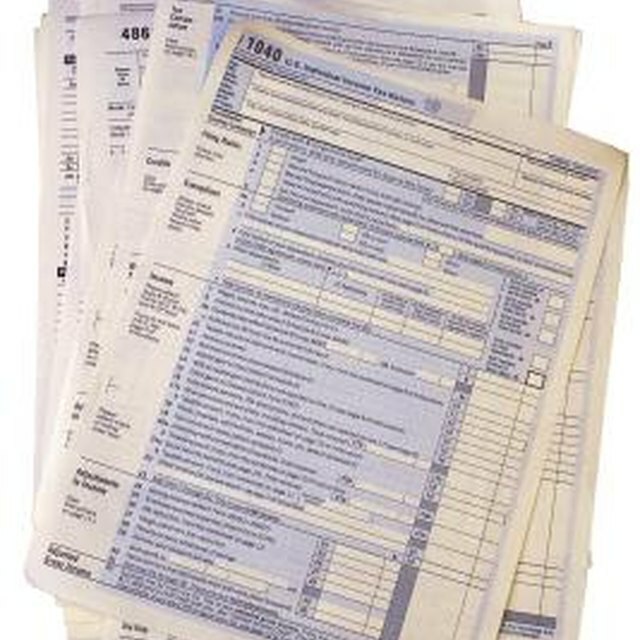 You can use your ITIN only for reporting your federal income taxes. This number is recognized only within the U.S. federal tax system. It cannot be used to authorize you to work in the U.S., to change your immigration status, to grant you eligibility for Social Security benefits or to qualify a dependent for earned-income tax credits. You cannot use your ITIN as proof of identification to apply for your driver’s license. First, complete IRS Form W-7, “IRS Application for Individual Taxpayer Identification Number.” You can download this form from the IRS website (IRS.gov). Mail your completed form to the address listed in the W-7 instructions, take it to an IRS Taxpayer Assistance Center (TAC) walk-in office or get an IRS-authorized Acceptance Agent to submit the paperwork for you. You can find a listing of authorized agents and TAC offices on the IRS website. You can also call the IRS at its toll-free number, 800-829-1040, if you need help completing your W-7. You’ll need to provide paperwork that documents your foreign/alien status and verifies your true identity when you submit the W-7. You should receive your ITIN number within six weeks. If you don't hear within that period of time, you should contact the IRS at 1-800-829-1040 to check the status of your application.